The 2019 edition of the Young Pin Design Award, an award highly regarded by young students, officially opened for entries on Feb. 14. To encourage students to associate their design creativity with social issues, the new category of “Social Design” was added this year. The “Special Entrepreneurial Potential Award” will continue to be conferred with the hope of discovering more dazzling design talents. The organizer announced the list of conveners for each of the eight award categories and the “Special Entrepreneurial Potential Award” today. “Social design,” which consists of using design to respond to various types of social requirements and challenges, focusing on solutions, and promoting social innovation, has become an important global trend. To encourage students to further emphasize environmental sustainability, social care, public welfare, local creation, and other diverse topics in their conceptual designs, this year’s Young Pin Design Award added a “Social Design” category for the first time. Works that meet the social design spirit can be submitted for this category regardless of design field, and can also be submitted in other categories. Last year, the Young Pin Design Award began conferring the “Special Entrepreneurial Potential Award.” The jury for the award is composed of design industry and market trend experts, and they bestow professional recognition on the works that have the most market potential and subsequent development potential. The award will be conferred once again this year, and its scope has been expanded to encourage students to develop their independent thinking skills and entrepreneurial-related abilities. In addition to changing the competition system to a “recommendation-based system,” the organizer also invited school departments to recommend an outstanding team with entrepreneurial potential to compete. The winning teams are given the opportunity to enroll in entrepreneurship-related courses free of charge. This year’s Young Pin Design Award continues to utilize a jury convener system. The convener of each category is responsible for recruiting jurors, and together they will select the winning works. Agua Design founder Agua Chou is the convener of the new “Social Design” category. Chou has been engaged in social design and urban transformation for many years. In 2006, she initiated the “City Yeast” plan. Nowadays, she continues to explore how design can invigorate and transform the public environment and society. Chou will draw on her rich experience to bring an expert perspective to this year’s selection process. The convener of the “Packaging Design” category is renowned designer Liao Jun-yu (Godkidlla). Last year, he won the Golden Melody Award for Best Album Design and the Best of Golden Pin Design Award for his work on the album “Brothers Shouldn’t Live Without Dreams.” This is his first time as a convener, and everyone is looking forward to what kind of perspective he will bring to the selection process. The conveners of the eight categories are Studio Qiao designer principal Rock Wang (Product Design), IF OFFICE founder Yu Feng (Visual Communication), Godkidlla Art Production artist Liao Jun-yu (Packaging Design), Dosomething Studio director Cowper Wang (Digital Multimedia), EHS Design Group director Effie Huang (Spatial Design), Donghai Hospital Design Studio director Gina Hsu (Craft Design), Elle Magazine International Chinese Edition chief editor Florence Lu (Fashion Design), and Agua Design founder Agua Chou (Social Design). The convener of the “Special Entrepreneurial Potential Award” is Taiwan Mobile Innovation Chief Investment Officer Kevin Ho, who served as a juror for this award last year. The 2019 Young Pin Design Award has eight award categories. Five works in each category will be selected to win the “Young Pin Design Award” and a cash prize of NT$20,000, while the winner of the grand prize, the “Best of Young Pin Design Award,” receives a cash prize of NT$100,000. There are no registration fees, and the only competition qualification is that the designer and work must be taking part in the 2019 Young Designers’ Exhibition (38th edition). The shortlist of finalists will be announced on April 1 (Monday). The final round will take place on May 3 (Friday) at the Young Designers’ Exhibition. The awards ceremony will take place on May 5 (Sunday) at Taipei World Trade Center Exhibition Hall 1. 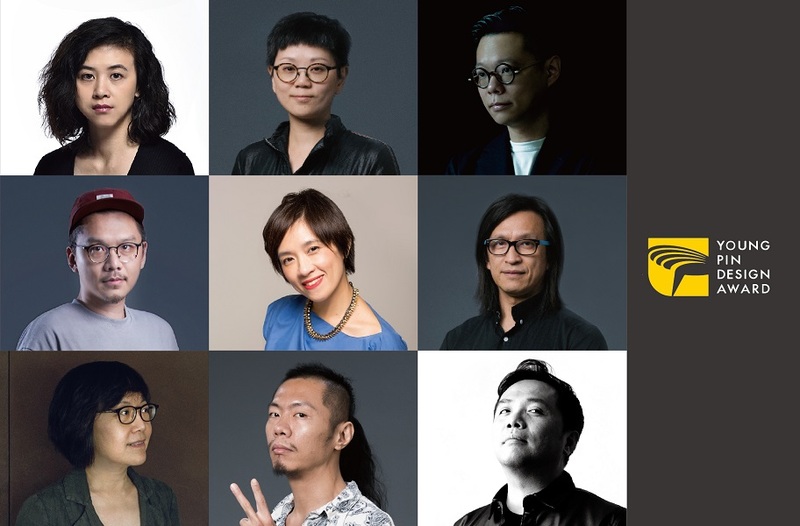 PreviousNext project:Taiwan’s Golden Pin Design Award 2019 Call for Entries is Now OpenNextPrevious project:The 2019 Young Pin Design Award Jury Announced!